Portrait painted at Coolangatta Plaza in QLD. 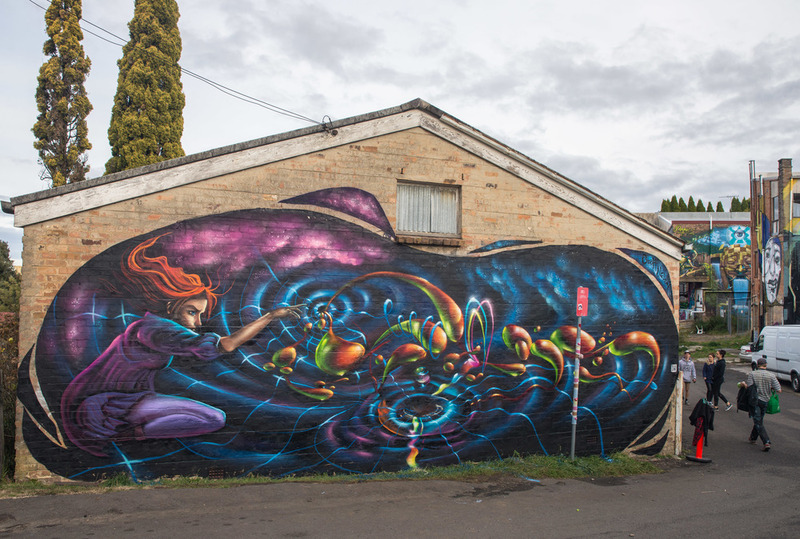 Mural painted with @Krimsone at the Street Art Walk in Katoomba, Blue Mountains at Beverly Place Katoomba. 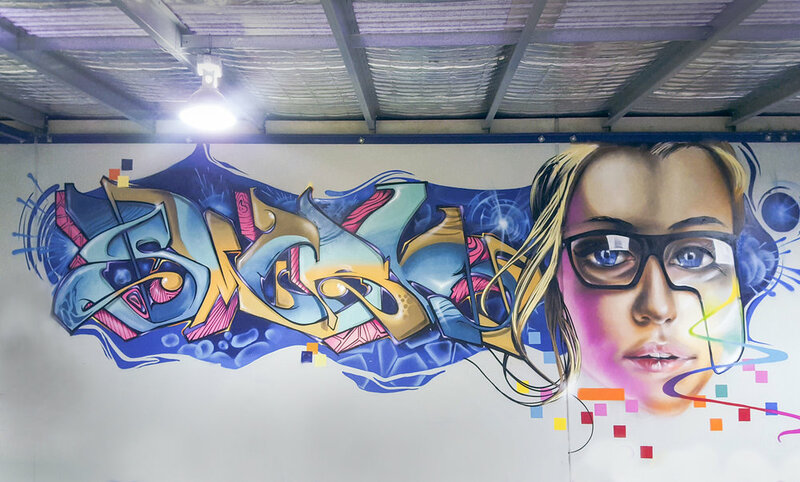 Mural painted with @Krimsone at Trunk Studios - yoga studio in Dulwich Hill NSW. Mural painted at Mt Colah Primary School with Krimsone. 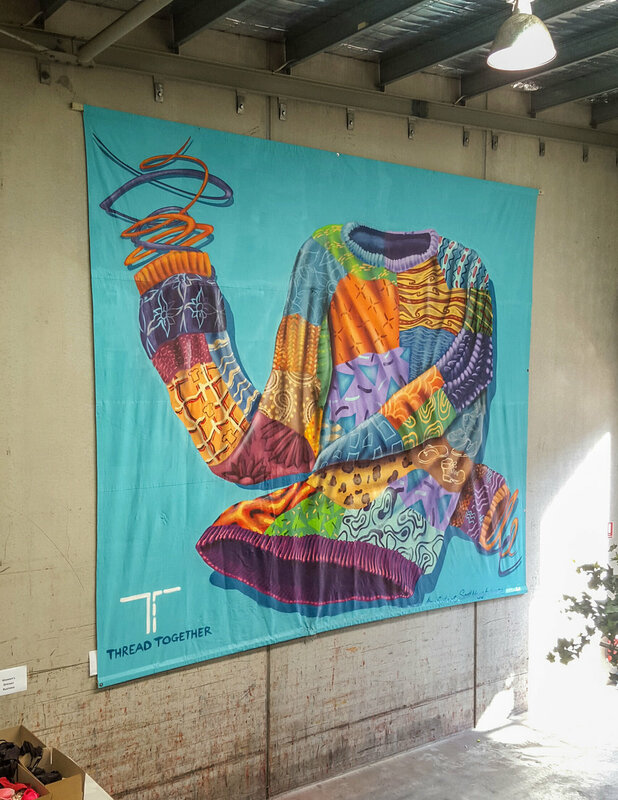 Piece for Thread Together with Krimsone and Alex Grillanc. I am multidisciplinary artist but primarily a painter. My portraiture is realized with a detailed approach and I like to play with lighting techniques such as chiaroscuro and tenebrism. My landscape pieces take on more surreal properties, as I tend to draw from memory and imagination. I grew up in The Blue Mountains Australia developing my skills in aerosol as a youth with some of the most renowned local graffiti artists. I studied fine arts at Nepean Arts and Design Centre where I learnt traditional painting techniques, refining my knowledge in colour theory and perspective. 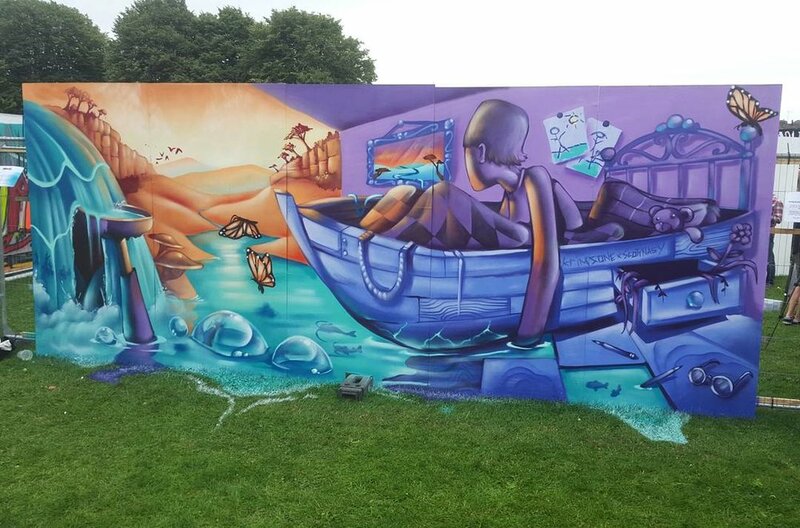 From mid 2015 I have been painting site-specific murals full time with a non-for-profit organization called Street Art Murals Australia – SAMA. I enjoy the process of responding to briefs by the client and travelling to paint in public spaces where my work can become part of the community.